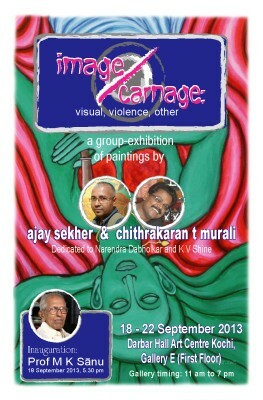 We welcome all to our group show image/carnage at Durbar Hall Art Centre, Kochi from 18 to 22 September 2013. 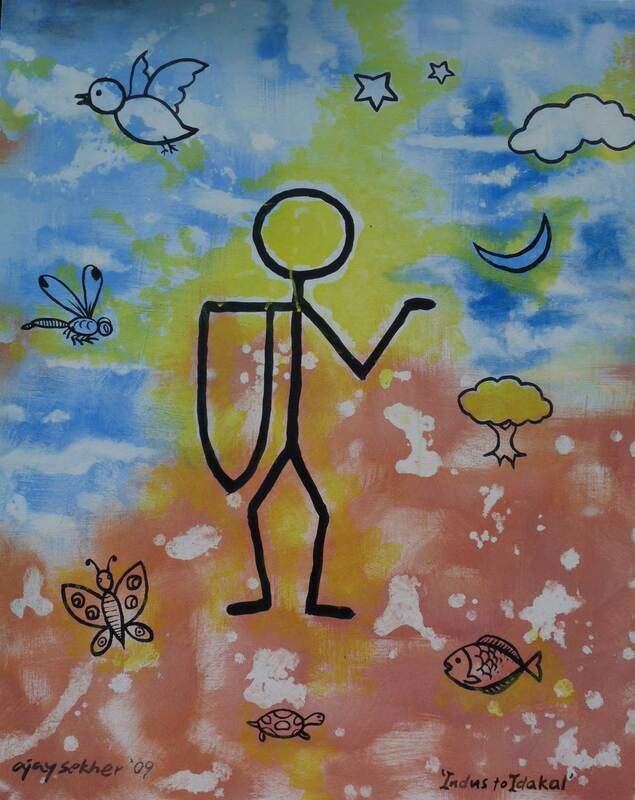 It is a visual exploration into the material and symbolic violence in our society. The politics and semiotics of othering are also touched upon by the paintings. 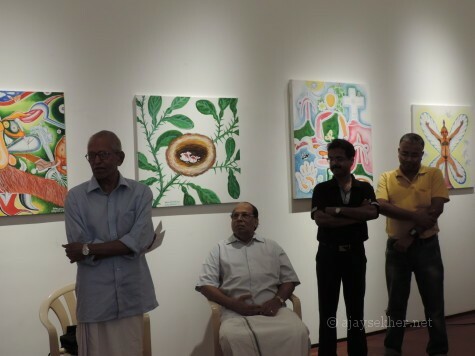 Prof M K Sanu inaugurates the show at 5.30pm on 18 September 2013 in the presence of cultural and human rights activists, writers and artists from all across Kerala. 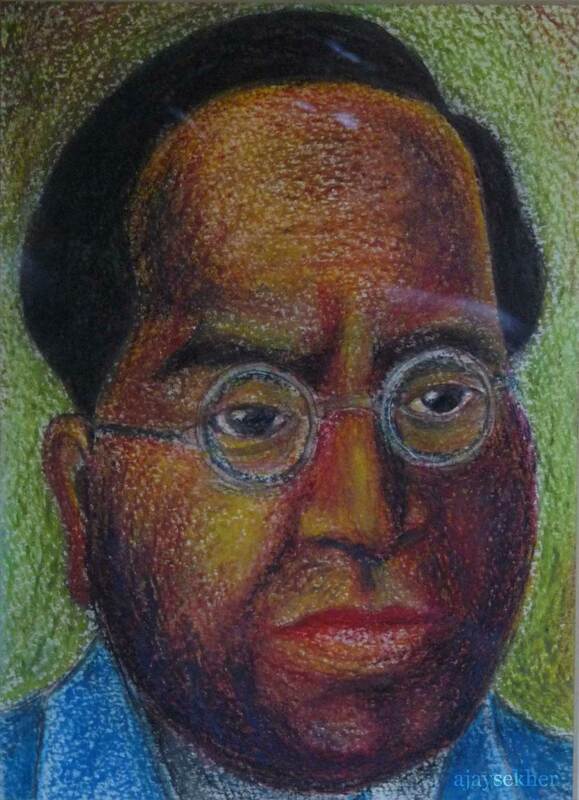 The group show is dedicated to Dabholkar and K V Shine. 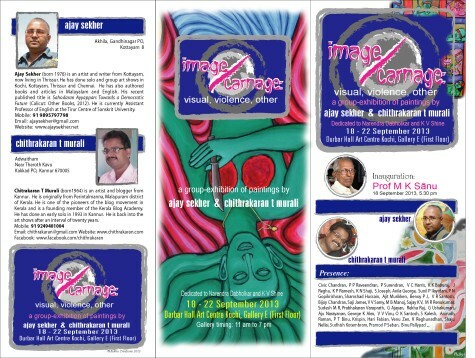 This group show titled image/carnage presents the recent works of Ajay Sekher and T Murali. 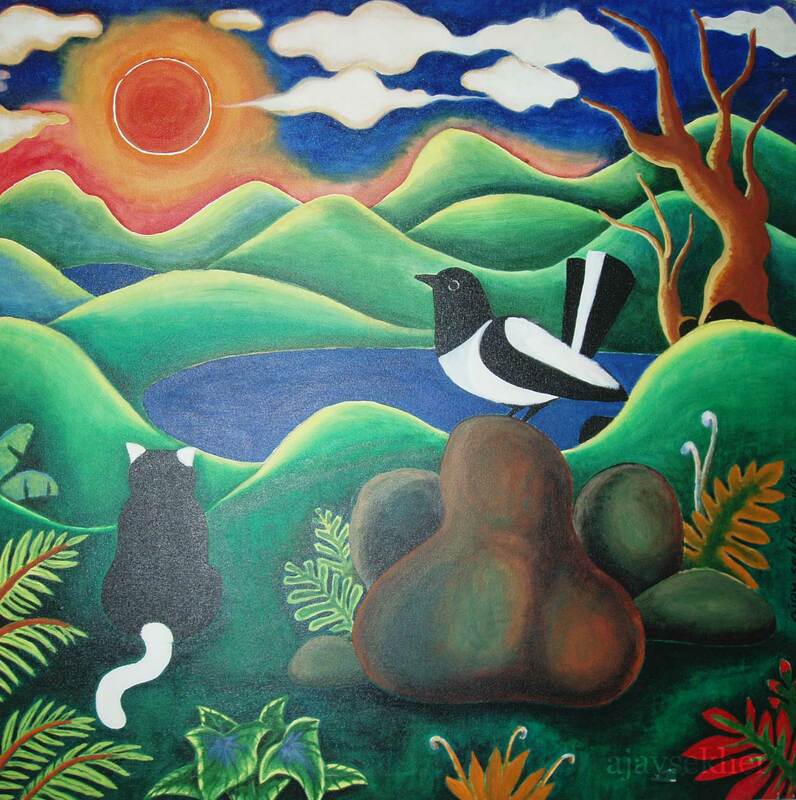 The paintings are mostly done in the medium of acrylic on canvas. They deal with the themes of othering and symbolic violence in our society. Murali’s works explore the trajectory of hegemonic material violence in the tumultuous contexts of the cultural history and social formations in Kerala. 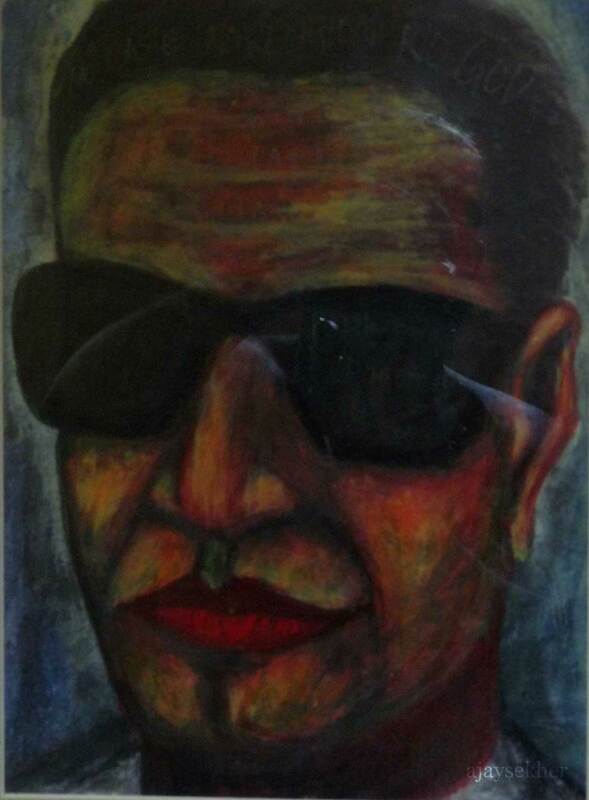 He has painted the historic moments of subaltern revolt and resistance in south Travancore as in Channar Woman and also vividly depicted the mutilations and genocidal violence done on the body and bio power of the Avarna women in Kerala by casteist patriarchy for almost a thousand years in the establishment of the Hindu Brahmanical caste system and its feudal patriarchal order here. His works also make visible the repressive violence and representational dilemmas involved in the traditionalist and elitist iconography of our prevalent world view and common sense. 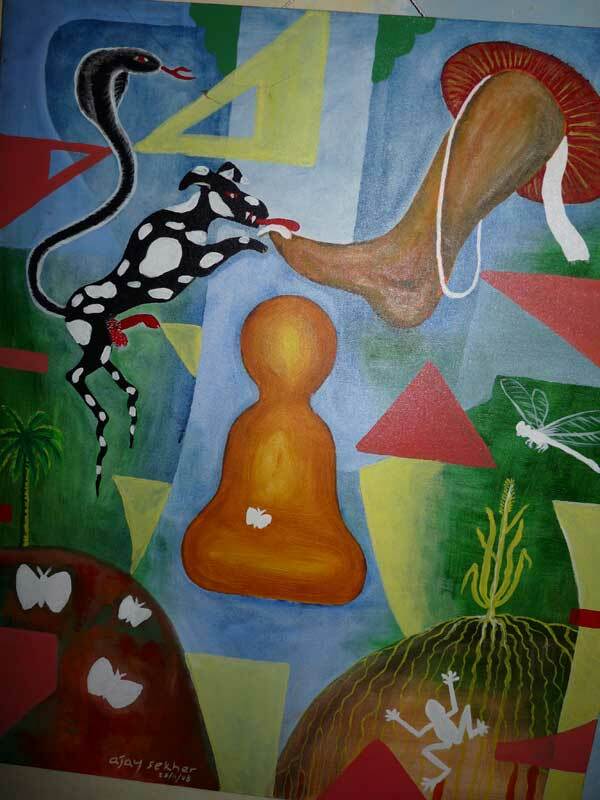 A scathing critique of popular religion and dogmatic faith in metaphysical and obscurantist discourses of the dominant order is also evident and visible in Murali’s vivid visual idiom. The works of Ajay Sekher divergently enact the micro operations of power and hegemony in subtle and allegorical ways. 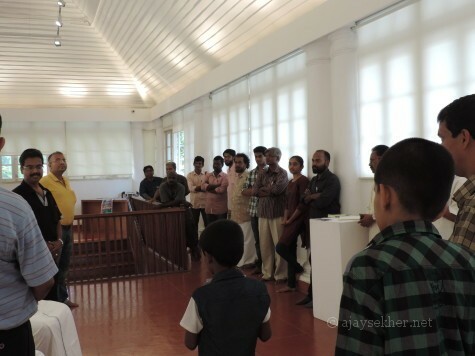 His works illuminate the representational modes of demonization and animalization in contemporary politics of culture in Kerala and India at large. The works dramatically enliven and critically comment on the politics of symbolic and representational violence and stereotyping of the minor and the marginalia predominant in Kerala mainstream discourses and the increasingly elitist public sphere. An imaginary, symbolic and iconological exploration into the erased past and repressed collective unconscious of Kerala is also imminent in the works. The works also try to signify the common and shared visual imagery and motifs deeply embedded in south Indian visual culture in its rudiments. 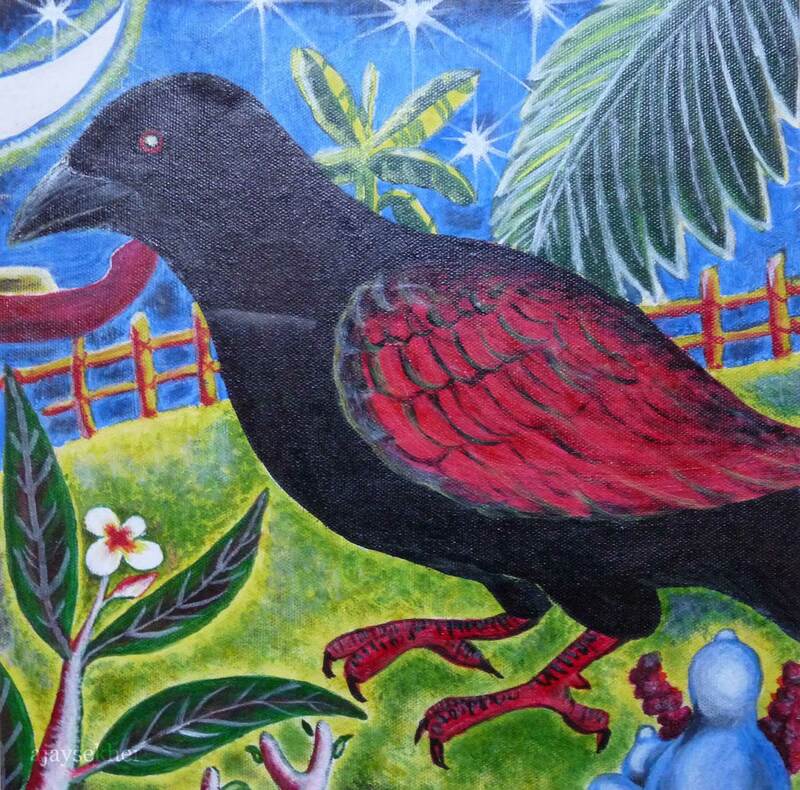 Both the artists engage seriously with the contemporary idiom of visual arts and try to represent the struggle for a new visual language and expression from within the realm of the sign and the visual codes of local culture. In this sense the works are contemporary and vernacular at the same time. Contemporary in the sense of the themes and socio political issues presented and vernacular in the nuances of cultural location and signification. Through the depiction of the local and the vernacular they are also trying to resist the Meta Narratives of the Nation and the hegemonic and oppressive cultural logic the Nation State in particular. By foregrounding the human and the ethical within the minor and other these works resist the reinstatement and deification of local cultural elitism and neo Nationalisms or dominant religious revivalsims of the regional sort. These fragmented visual articulations and collective little cultural acts are done in the context of the rise of cultural nationalism and pro fascism in India in the form of pseudo majoritarian Hindutva right wing chauvinism. The explosions and Rath Yatras are on for the 2014 Loksabha elections. The experiences of M F Husain, Shivaji Panikkar and the recent incidents of vandalism in Ahmadabad art gallery explain the crisis and the undisputed visibility of the symptoms of the rise of fascism proper in our country and society. The Parivar is also eyeing Kerala to open its account. Narendra Modi was welcomed in the abode of Narayana Guru who upheld the human above the religions by the Hinduized official heads of his Dharma Sangham. The present show is dedicated to Mr Narendra Dabholkar and Adv K V Shine. Dabholkar the rationalist social activist of Maharashtra was exterminated by the right wing fascists for questioning religious superstitions and for disseminating reason and scepticism among the people. Adv K V Shine a cyber cultural activist and the first cyber martyr of Kerala was pressurised so much that his precious life was lost in a heart arrest following a police case and prolonged harassment propelled by a Savarna Hindu caste organization and its patriarchs. The former feudal lords even misused the state apparatus and the police to suspend Shine from his government job. Cultural policing, elitism and Savarna chauvinist repression are growing day by day in the public sphere and public service of Kerala and in all walks of life as part of the coming of age of Hindutva Savarna fascism across the country. As neo nationalisms and patriotic elitisms have appropriated and monopolized the image in genocidal violence; it is very important to deconstruct the semiotics of repression and carnage and formulate the resistance in and through the realm of the visual. spectators at D H Kochi on 18 sept 2013 during the inaugural speech. The kid of K V Shine in the middle. 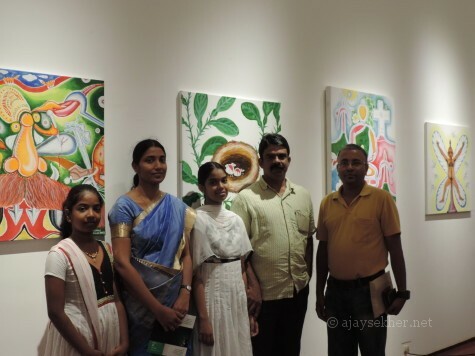 Emerging poet Swati and family from Mavelikara at the show. This entry was posted in Cultural Politics and tagged a group show by ajay sekher and t murali, a painting exhibition dedicated to dabholkar and k v shine, art aginst fascism, art and activism, art and democracy, art and resistance in kerala, art for resistane, art in Kerala, art show against violence and genocide, artists against fascism, chithrakaran t murali's art show, dream deffered, durbar hall art centre kochi art shows, exhibition of painting on kerala art and culture, homage to husain, indian fascism and indian art, k v shine, k v shine payed homage, Kerala art, Kochi art shows in 2013, Narendra Dabholkar, painting exhibition by ajay sekher and t murali, painting exhibition on visual and symbolic violence in Kerala, solo art show at durbar hall art centre at ernakulam, to husain a solo by ajay sekher, two young artists on show at Kochi, visual critique of Nationalism and neo nationalisms in Keral and India, visual critique of Savarna Hindu Nationalism on September 9, 2013 by Ajay. Good. You must arrange a show in Kozhikode.